Payment Plan administered by Nelnet Business Solutions (available at the start of each semester’s registration period). Visit the Nelnet Payment Plan Info Page for additional information. To pay online, log in to the student’s MyPalomar account. Instructions on how to make an online payment can be found here. 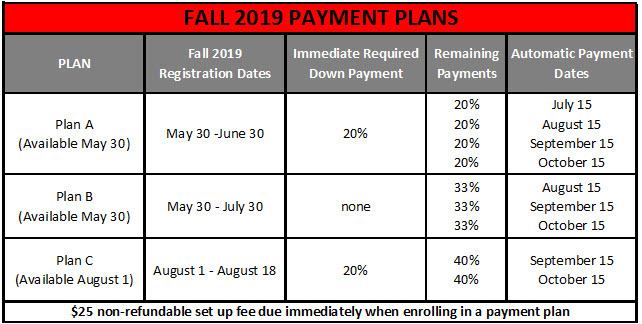 Palomar College’s Summer 2019 Payment Plan will be available beginning Monday, April 29, 2019 and the Fall 2019 Payment Plan will be available beginning Thursday, May 30, 2019 via your MyPalomar page. Payment plan options for each semester are listed below. Visit http://mycollegepaymentplan.com/palomar/ for more information. A student must officially drop or withdraw from a class by the published refund deadline. The following fees are subject to refund: enrollment, health, materials, and non-resident tuition. The parking permit must be returned to the Cashier’s Office on or before the appropriate refund deadline date for the semester. If the college cancels a class, students will receive a refund automatically. Students who paid for classes prior to receiving a California College Promise Grant (CCPG) will receive a refund after the semester refund deadline. For information related to waiver of enrollment fees, contact the Palomar College Financial Aid Office. For the deadline dates that apply to your classes, click on the deadline icon next to your class in your MyPalomar class schedule.